Law Web: Whether Lok adalat can pass contingent award relating to pending matters before court? 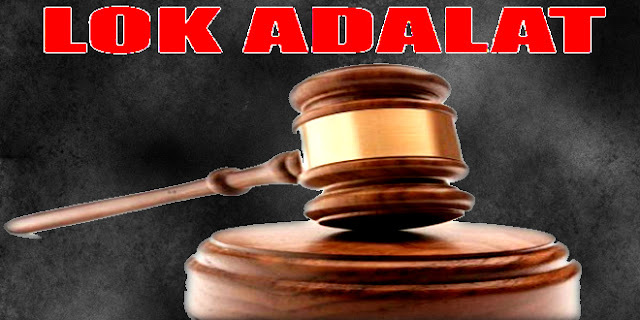 Whether Lok adalat can pass contingent award relating to pending matters before court? In the case at hand, I see that the parties have agreed into the terms of the award on the happening of a specific contingency that this Court allow Crl.M.C. No. 295/2013. This was a matter of pure conjuncture and speculation. I am concerned that the Award did not provide for a prescription as to how the parties would be regulated, if the Court had dismissed Crl.M.C. No. 295/2013. Both parties appear to have been inexplicably confident that this Court would act. in a particular fashion and that the said Crl.M.C. would be allowed in future. I do not see how the parties could entertain such an impression in their minds, and how the Lok Adalath could have allowed the parties to enter in to such an award. 11. I see that the Lok Adalath has merely endorsed the terms of concurrence of the parties without considering the probable issues of violation of morals and public policy in permitting parties to settle on contingent terms which depends on the decisions of this Court in future. This is grossly inappropriate and I am of the view that the Lok Adalath misdirected itself in allowing the parties to enter in to a settlement which is contra bonos mores and contra public policy. 12. I am of the firm view that the Lok Adalaths have a duty to ensure that the settlements entered into by the parties confirm to law, morals and public policy of the Society and the Polity. Any settlement entered in contravention of these would be completely unsustainable and incompetent. If this Court notices that the settlement is one that offers undue advantage to one side on account of prescription of certain contingencies, it becomes a case of contravention of public morals as also of public policy and, therefore, this Court would obtain certain justification in interfering with such Awards under Article 226 of the Constitution of India, it being null, void and non-est. (i) The persons presiding shall thoroughly study and clearly understand the facts of the case coming up for settlement. (ii) They must have a clear understanding about the legal issues involved in the dispute between the parties. (iii) If the parties have engaged lawyers, they shall also participate in the proceedings before the Lok Adalat so that a proper settlement could be arrived at. (iv) The persons presiding over the Lok Adalat and the lawyers concerned shall bear in mind the fundamental principles, under the Indian Contract Act, 1872, essentially required for executing a legally enforceable agreement. (v) They shall bear in mind the principles under Order XXIII Rule 3 of the code of Civil Procedure, 1908 also, so that the award must be in the form of an enforceable decree, if the parties so wish. This is all the more important because by virtue of sub-section (2) of Section 21 of the Legal Services Authorities Act, 1987, every award made by Lok Adalats shall be final and binding on the parties to the dispute and no appeal shall lie to any court against the award. (vi) The persons presiding over the Lok Adalat shall see that the award passed is clear in its terms and there shall be no room for any confusion in respect of the terms and conditions in the award. They shall take care to see that on account of ill-drafting of the compromise, no litigation in future arises in respect of the matters once settled. (vii) They shall see that the awards passed are not only legal, but also conforming to the norms prescribed for a decree with all the required details in clear and explicit terms." 14. However, in spite of express declarations by this Court, it is extremely disheartening and disquieting that lessons are not being learnt requiring repeated interventions of this Court. 15. In the case at hand, I see that the absence of a Clause in Ext. P7 as to what would happen in the event this Court dismisses Crl.M.C. No. 295/2013, would render the settlement between the parties, as recorded by the Lok Adalath, inoperative and completely contingent and therefore, contrary to public morals. Contingent Awards cannot be countenanced, especially when such contingencies are relating to pending matters before Courts, especially this Court. P.O. Thomas Vs. Kollam Taluk Legal Service Committee and Ors. 1. If there ever be a Book on Lawyers' Truths, the first aphoristic percept that would occupy it is that a bad settlement is better than a good law suit. This truism is well recognised because litigation is expensive, time consuming and unpredictable. However, many a time, this aphorism has been pushed well beyond its intent leading to a settle-at-all-costs mentality without being cognizant of the forensic worth or value of such settlement. The bane of thoughtless and ill drafted settlements is that the cure became worse than the malady, ironically then causing even more litigation. When settlements couched on illogical, unenforceable, impractical and sometimes even dissolute terms are brought to the notice of Courts, it become difficult to be blind to it since the final outcome of any judicial process in justice and everything else is only a cornolony effort to approximate the result of a well functioning judicial system. 2. The situation presented in this case is graphically illustrative of what I have said above. 3. The petitioner assails Ext. P7, which is an award passed in a Lok Adalath conducted by the Kollam Taluk Legal Services Committee. This challenge hypostized on Article 226 of the Constitution of India against such an Award would, at first blush appear to be slightly far-fetched and perhaps even incompetent on account of the imperative provision of the Kerala Lok Adalath Act, which virtually invest settlement of awards in total finality. However, on an analysis of the facts involved, I am persuaded to think otherwise. 4. The wood cut of the facts, as is constitutive for my consideration, is that the petitioner had entered into an agreement for sale with the 2nd respondent on 20.12.2010. The agreement involved 55 cents of land and the sale consideration was fixed at Rs. 1.9 Crores. As per the terms of the agreement, the 2nd respondent was to execute the Sale Deed within a period of two months and on such covenant, the petitioner paid the entire consideration of Rs. 1.9 Crores to the 2nd respondent in 2012. These facts are virtually conceded to by the 2nd respondent. However, it appears that while matters stood thus, the 2nd respondent, which is a Private Limited Company, was proceeded against by various of its other creditors, leading to Ext. P3 order being issued by the Chief Judicial Magistrate's Court, Kollam, injuncting the 2nd respondent from disposing of the Company properties or the personal properties of the Directors. This consequently constrained the petitioner to file O.S. No. 381/2013 on the files of the Sub Court, Kollam seeking recovery of Rs. 1.9 Crores paid by him under the agreement of sale. While the suit was pending, the matter was referred to the Lok Adalath for an attempt of settlement. (i) The parties agree that the suit will be settled on the defendant paying the plaintiff an amount of Rs. 1.9 Crores in full and final settlement. (ii) The defendant will pay the amount of Rs. 1.9 Crores to the plaintiff within a period of 9 months after Crl.M.C. No. 295/2013 filed by the plaintiff is allowed by the High Court. 6. It transpires that based on this award, but on a misinterpretation of its terms, the petitioner, who was the plaintiff in the suit, withdrew Crl.M.C. No. 295/2013 before this Court. 7. The reasons that led to the petitioner filing Crl.M.C. No. 295/2013 is also relevant here. This Crl.M.C. was filed by the petitioner to vary the terms of Ext. P3, under which the Company was injuncted from selling its properties, as has been mentioned by me earlier. So, obviously the parties thought that once the injunction is vacated by an order of this Court, the amount retained by the Company could be returned to the petitioner. 8. However, when Crl.M.C. No. 295/2013 was withdrawn by the petitioner, on a misjudgment of the terms of the award, the 2nd respondent Company took the stand that under the terms of Ext. P7, they are no longer obligated in making payment to the petitioner. This has led to the present fracas between the parties and to this writ petition being filed challenging the terms of Ext. P7. 9. I started this judgment by saying that the challenge against an Award of the the Lok Adalath, voluntarily entered into by the parties, would normally be not countenanced. It is only in cases where the Award can be seen to be vitiated by misrepresentation and fraud or if it is opposed to public policy, can this Court, exercising jurisdiction under Article 226 of the Constitution of India, even entertain a challenge against it. 10. In the case at hand, I see that the parties have agreed into the terms of the award on the happening of a specific contingency that this Court allow Crl.M.C. No. 295/2013. This was a matter of pure conjuncture and speculation. I am concerned that the Award did not provide for a prescription as to how the parties would be regulated, if the Court had dismissed Crl.M.C. No. 295/2013. Both parties appear to have been inexplicably confident that this Court would act. in a particular fashion and that the said Crl.M.C. would be allowed in future. I do not see how the parties could entertain such an impression in their minds, and how the Lok Adalath could have allowed the parties to enter in to such an award. 15. In the case at hand, I see that the absence of a Clause in Ext. P7 as to what would happen in the event this Court dismisses Crl.M.C. No. 295/2013, would render the settlement between the parties, as recorded by the Lok Adalath, inoperative and completely contingent and therefore, contrary to public morals. Contingent Awards cannot be countenanced, especially when such contingencies are relating to pending matters before Courts, especially this Court. The mala fides involved in the present stand of the 2nd respondent would be very apparent because it now asserts that since Crl.M.C. No. 295/2013 has been withdrawn by the petitioner, it is under no obligation to make payment at all. This obviously offers an illegal and unlawful advantage to the 2nd respondent, tilting the balance of the scales of justice capriciously against the petitioner, merely because Ext. P7 Award had been allowed to be entered into thoughtlessly by the competent Authority of the 1st respondent. I cannot permit this to happen and I, therefore, am of the view that I will be justified in interfering with Ext. P7 Award and relegating the parties to their normal channel of litigation, so that substantial justice can be obtained for both sides! In such circumstances, I have no hesitation in striking down and quashing Ext. P7 Award so as to pave way for the proceedings before the Sub Court, Kollam pending in O.S. No. 381/2013 to be continued and concluded in the manner that is appropriate in law. I do so. Consequently, the Sub Court is directed to continue with the processes, trial and disposal of O.S. No. 381/2013, pending before it, expeditiously and without any avoidable further delay. The parties are directed to appear before the Sub Court, Kollam, for this purpose on 15th of June, 2017.